A knee dislocation is an uncommon but extremely serious injury in which the thigh bone (femur) and shin bone (tibia) lose contact with each other. A knee dislocation is different from a patellar dislocation in which only the kneecap is detached from its groove at the end of the femur. The most common symptoms of knee dislocation are the visible swelling and deformity of the knee joint. The lower extremity will often look shortened and misaligned, and any movement of the joint will cause extreme pain. If a vascular obstruction is left untreated for more than eight hours, the chance of amputation is 86 percent compared to 11 percent if treated within eight hours. Knee dislocations are often the result of a high-impact injury such as an automobile crash, severe fall, and sports injuries. A knee dislocation should not be confused with a subluxation, a partial dislocation in which the knee "gives out" due to a damaged ligament. A knee dislocation is a far more severe injury in which the misaligned bones must be reset to their proper position. With a subluxation, the bones will "slip back" into place. 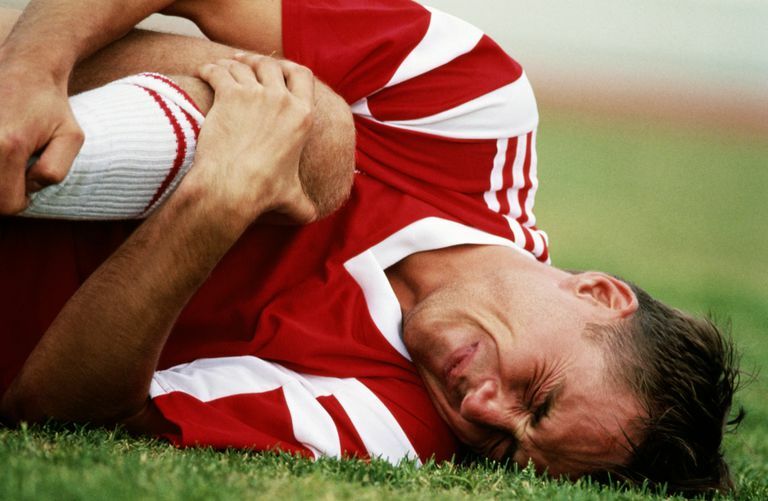 A knee dislocation can also occur from an unusual twist or misstep. In fact, around 40 percent of all knee dislocations are not related to a high-impact injury. With that being said, the same concerns exist whatever the cause. Rapid response is required without exception to prevent serious and even devastating damage to the knee and lower extremity. If a knee dislocation has occurred, the joint will usually be repositioned upon arrival at the emergency room (a procedure referred to as "reducing the joint"). Once reduced, the doctor will carefully evaluate the surrounding tissues, nerves, and blood vessels. Because of the extreme nature of the injury, the surrounding ligaments will invariably be damaged. In almost every case, both the anterior cruciate ligament (ACL) and posterior cruciate ligament (PCL) will be torn or ruptured. In addition, the collateral ligaments, cartilage, and meniscus (the membrane between the bone and cartilage) may also experience damage. X-rays or computed tomography (CT) scan would be used to evaluate the nature and position of the misaligned bones. Magnetic resonance imaging (MRI)—a technique far better at visualizing soft tissues—may be ordered to characterize the damage done to ligaments, cartilage, and tendons prior to surgery. To evaluate vascular obstruction, your doctor may order a CT angiogram in which an iodine-based dye is injected into a vein to map the blood flow. A Doppler ultrasound can also be used to assess arterial blood flow. Nerve damage, experienced in anywhere from 25 percent to 33 percent of knee dislocations, can be initially assessed with a physical exam to check for abnormal sensations (numbness, radiating pain) or the impairment of foot movement either internally (inversion) or externally (eversion). In the early stages of treatment, the medical priority is to minimize any damage caused to the blood vessels or nerves. When these issues have been addressed and stabilized, attention can be turned to the structural tissue damage. In almost all cases, surgery will be required, often to repair multiple ligament injuries, meniscus tears, and cartilage damage. Arterial injuries may require the direct repair of the affected vessel (with a synthetic patch, graft, or transplanted vein), an arterial bypass, or an embolectomy to remove a clot. The surgery may be performed as an open operation (using a scalpel and large incision) or arthroscopically (using a scope, tube-like instrument, and keyhole incisions). Nerve damage may require the expertise of a neurologic surgeon. It is not uncommon, in fact, for a knee dislocation to require multiple surgeries. Efforts may also be made to restore lost cartilage with such advanced techniques as cartilage implantation or cartilage transfer. Complications of knee dislocation surgery, include chronic stiffness, instability, and postoperative nerve pain. Joint malformation and infection are also possible. Adhering to an extensive physical therapy and rehabilitation program is considered essential to restoring near-normal to normal knee function. Knee dislocation, while serious, is extremely rare, representing less than 0.5 percent of all joint dislocations. While most people with knee dislocation will seek emergency care due to the extreme nature of the injury, any efforts to self-treat should be avoided without exception. Delayed treatment can lead to tissue atrophy, resulting in the shortening of severed ligaments. This not only makes repair difficult, but it can also end up severely restricting the range of motion of your knee. Furthermore, waiting until morning to "see if things improve" can lead to extensive tissue death (necrosis) due to the restriction of blood flow. By the stage, the damage may be so severe as to require an above-the-knee amputation. To this end, any knee injury should be seen without delay if there is severe pain, swelling, redness, bleeding, or a restriction of movement. Skendzel, J.; Sekiya, J.; Wojtys, E. Diagnosis and management of the multiligament-injured knee. J Orthop Sports Phys Ther. 2012;42(3):234-42. DOI: 10.2519/jospt.2012.3678. Boyce, R.; Singh, K.; and Obremskey, W. Acute Management of Traumatic Knee Dislocations for the Generalist. J Amer Acad Ortho Surg. 2015;23(12):761-68. DOI: 10.5435/JAAOS-D-14-00349. What Actually Happens When You Dislocate Your Shoulder? What Are the Signs of Kneecap Dislocation? Why Does My Knee Pop and Snap?